"I want to tell him the truth. Yes, I know this story. He's told it to me at least three times, and each time he tells it he remembers more details. That's how my father lies, convincing himself more and more that what he's telling is fact, because fiction isn't this exact and memorable." Since I've started tracking my reading for this blog, I've tracked particular categories. Fiction vs. nonfiction. Hard copy books vs. Kindle editions. And male vs. female authors. Like a lot of white people educated in predominantly white schools, I've been exposed constantly to white writers, usually male (my AP English teacher did make it a point to have us read works by black authors as well). I took it for granted until I started reading book blogs before I launched my own, and I started to really think about how many books I was reading that were written by dudes. I decided that I wanted to keep an eye on that metric...women are half the world, shouldn't we be telling half the stories? Turns out, I often really like books written by women! And I've become more and more sensitive to the number of white and heterosexual (and cisgender and able, etc) narratives I read as well. Books force us to really think about people that don't look like us as people worth investing our time and energy in. 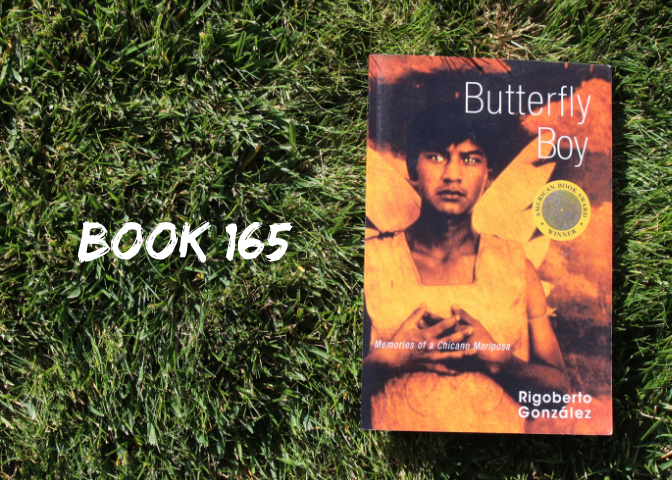 And so I was intrigued when my book club chose Rigoberto Gonzalez's Butterfly Boy. I'll admit that I was initially concerned about finding something to relate to in this memoir of a gay Latino man's coming-of-age, but I realized how ridiculous that was very quickly. What there is to relate to is the experience of being a human growing up. Although the details of Gonzalez's childhood and adolescence are very different than mine, the broad themes are very similar: trying to figure out who you are and who you want to be, struggling with your relationships with your parents, finding yourself in unhealthy relationships. There's a reason the coming-of-age genre is so popular: everyone's gone through it, so everyone can relate. Gonzalez centers his narrative around a bus trip he takes with his father to his maternal grandparents' village in Mexico. Gonzalez, at this time a college student, has just had another ugly, violent fight with his lover and reflects on this relationship as well as his life growing up, particularly his conflicted relationship with the man he's traveling with. It's a harsh life he's led: the family's poverty keeps them rootless, chasing unskilled labor jobs, constantly living with relatives to keep a roof over their heads. Their time living with his paternal grandparents is especially bad: his grandfather is physically abusive and rules the home through fear. Gonzalez knows fairly early on that he's gay, and while his sexuality is mostly a topic avoided by his family, his mother encourages him to hide it from his father, so he lives in a constant state of shame and suppression. Gonzalez's writing is really beautiful, even as he describes brutal violence and searing embarrassment. He mostly avoids telling the reader who people are (himself, his father, his mother) in favor of showing who they are through their own words and actions. When, early in the book, Gonzalez gives his father money for two first-class bus tickets and the older man returns with two coach tickets, overriding his son's decision about how to spend his own money, we can tell what kind of person he is. By the time Gonzalez gets to the end of his story, we understand how the ways he's been taught to hate himself leave him vulnerable to a relationship in which he's treated with contempt. This would probably be a very difficult book to read for people with a history of domestic violence, but I'd recommend it for other readers. Regardless of your background, there's a story here that's very worth reading. 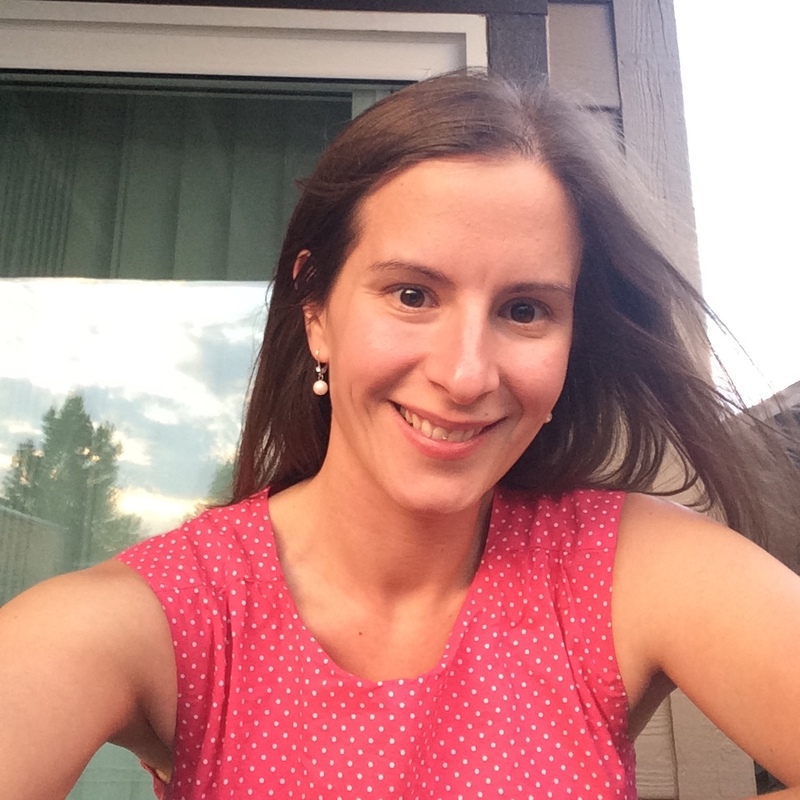 Tell me, blog friends...do you think about who writes the books you read?